This is the fourth in a series I’m doing to address some frequently asked questions (FAQ) about winter sowing. By now, you’ve probably been seeing sprouts in your containers, and you might be wondering what to do. How do I water the containers? Some of my containers have started sprouting, but others have not, should I be worried? Some of my containers have sprouted. What should I do with the seedlings if it’s going to freeze? 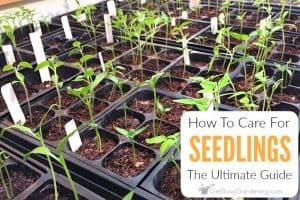 When do I transplant my seedlings to the garden? My seedlings are getting tall. Should I take the tops off or leave them on? Q: How do I water the containers? A: If you notice that the soil in your containers has started drying out, there are several ways to water them. If the containers are flat on top, I just throw snow on top of them, or pour water over the lids. This way, the water will trickle in through the vent holes. For milk jugs or similar containers, you can tilt the jug slightly and slowly pour water in the top so it will trickle down the inside of the jug. If you pour water directly into the jug, you can displace the soil and sprouts. 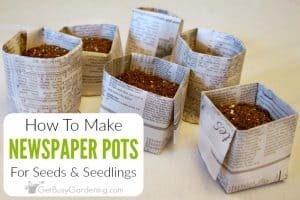 If the lids are easily removable, you can open them and water like you usually would water seedling flats. But, this can be a big chore when you have lots of containers. Q: Some of my containers have started sprouting, but others have not, should I be worried? A: Don’t worry about the seeds that haven’t started growing yet, I haven’t seen growth in most of my containers yet either. This spring has been much cooler than last spring, so expect to see sprouts later than last year. It will vary every year. Give it time. Q: Some of my containers have sprouted. What should I do with the seedlings if it’s going to freeze? A: With winter sowing, the seeds that start to sprout first are the cold hardy plants. They can tolerate cold temperatures, and shouldn’t need to be protected in the spring. Just keep the lids on your containers overnight. It’s the warm weather plants (like tomatoes, zinnias, peppers…etc) that you’ll need to worry about. Once they start to sprout, and the forecast calls for below freezing temperatures, you might want to give the containers a little extra protection to be safe. You can simply cover the containers with a blanket, or move them into the garage or shed if you want. Last year I had all my lids off and everything was growing great, then in May we had a night where we were supposed to get frost. The seedlings were too tall to put the lids back on, so I covered them with a blanket and they were fine (sure enough, the blanket was covered with frost the next morning). 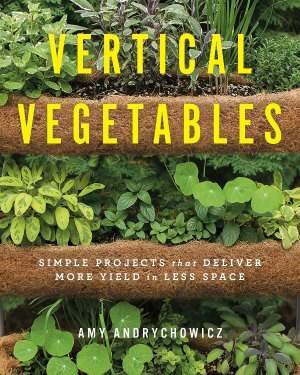 Q: When do I transplant my seedlings to the garden? Q: My seedlings are getting tall. Should I take the tops off or leave them on? If you have any questions that haven’t been answered yet, you can ask them here in the comments and I will answer them. Thank you! Spring is late in the US too! Glad to hear your weather is starting to get better. We just had a snow storm last week here in Minneapolis. Yuck! So ready to start gardening again! How is winter sowing different from using a cold frame? I think it's very similar to using a cold frame. The difference is that with winter sowing you use recycled containers that are easy to get by anyone, and can easily be stored or recycled after the seedlings are planted. Cold frames take up more space, and aren't as portable. Yes, the lids should stay on through the winter. 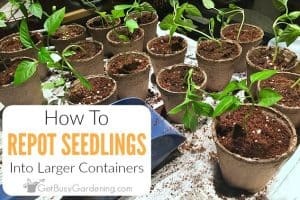 You can leave them on until the seedlings are tall enough to touch the top, or are ready to be planted into the garden in the spring. It depends on where you live. 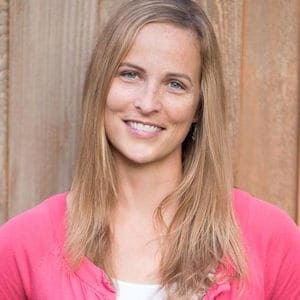 I’m in Minnesota (growing zone 4b), so I winter sow seeds through March and even into April most years. 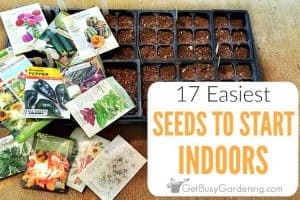 The only caution you have to think about is if it gets warm in March and the seeds start to sprout, and then it gets really, really cold again – then you might have to protect some of your sprouting containers from the really harsh cold (it’s as easy as throwing a blanket over them on super cold nights).